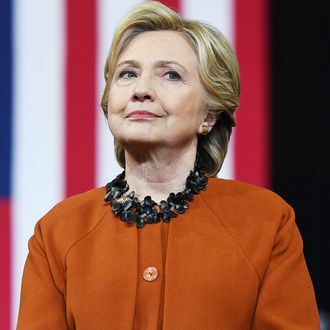 Simon & Schuster will publish a collection of personal essays by Hillary Clinton this fall, the Associated Press reports. The inspiration is “favorite quotations she has drawn upon,” though it will also include some material on the 2016 presidential race. Clinton is the author of several other books, including Hard Choices; Living History; Dear Socks, Dear Buddy: Kids’ Letters to the First Pets; and It Takes a Village — the latter of which will be reissued this year. Along with the personal-essay collection, the AP reports that she’ll be working with the speakers bureau Harry Walker Agency again. As for the still-untitled book, it will presumably include a foreword by Katy Perry.